This Article Was Live On: At 6:33:00 PM And Till Now HaveNo comments. 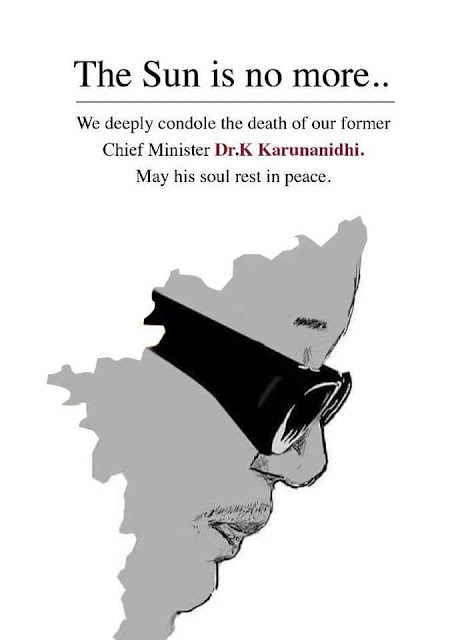 Sri Durga School Management, School Teachers, Students and Parents offer deep condolences on the passing away of our former chief minister Dr.M.Karunanidhi. We express our deep sorrow at the demise of Dravidian Pillar.